The classic Suede Lace-Up Oxford Booties with a different touch due to its manufacture with split leather. 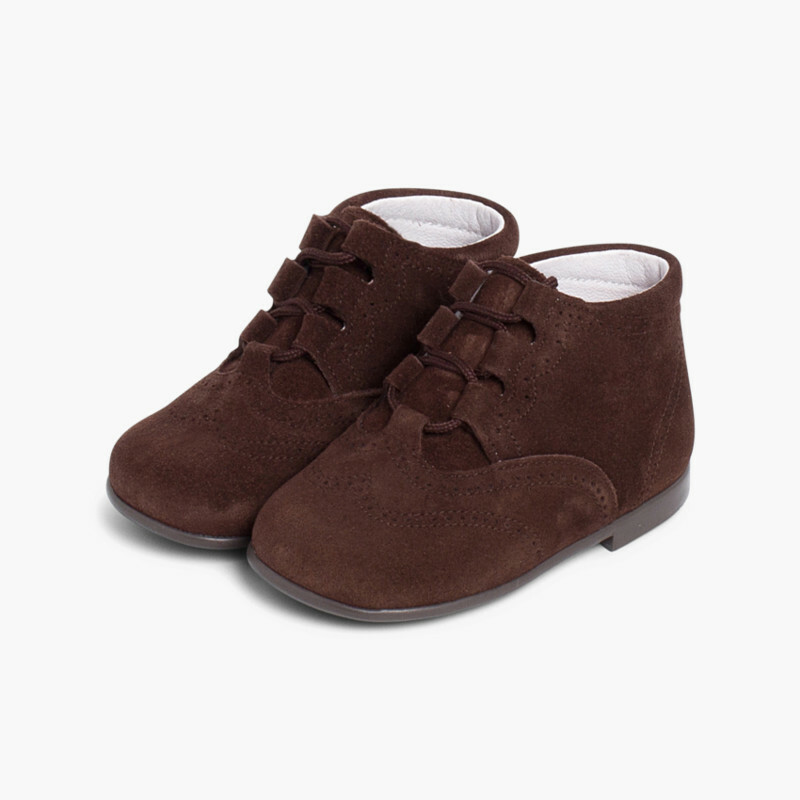 Some booties for non walking children and for toddlers in sizes 18 to 26. 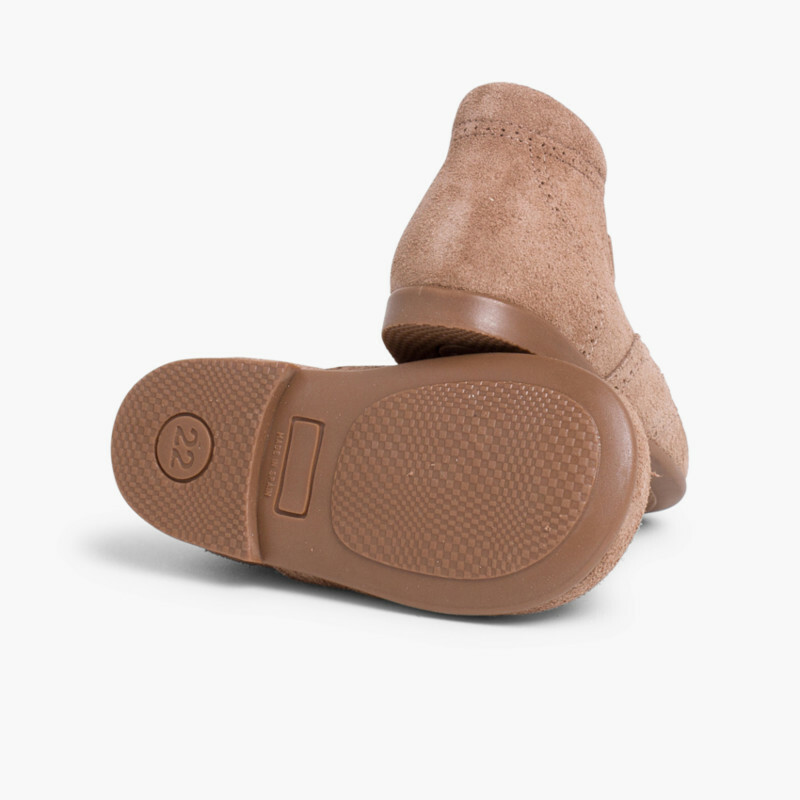 Besides it fits perfectly to their foot due to the shoelaces. 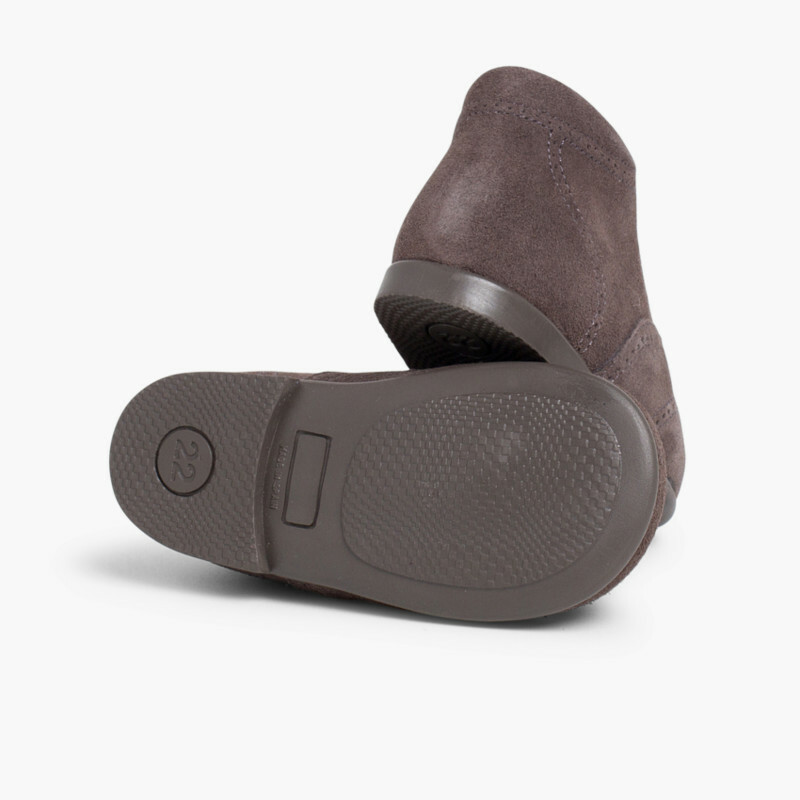 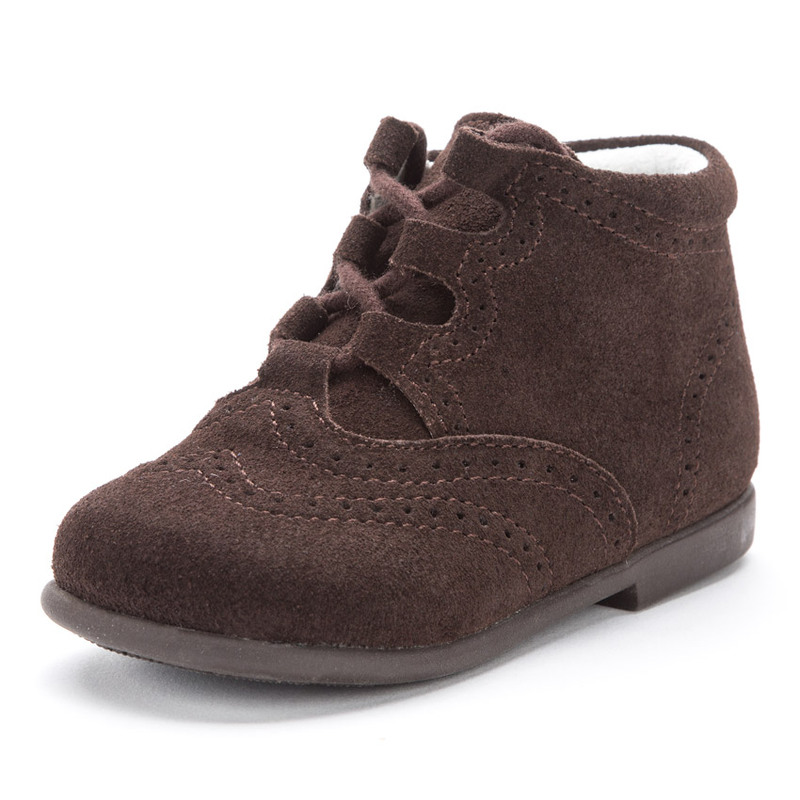 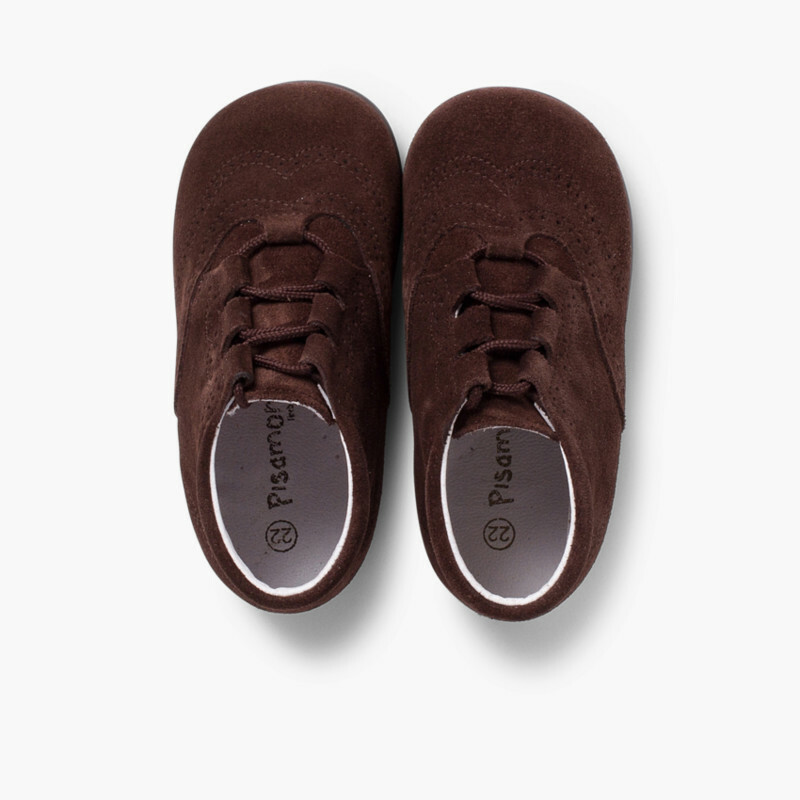 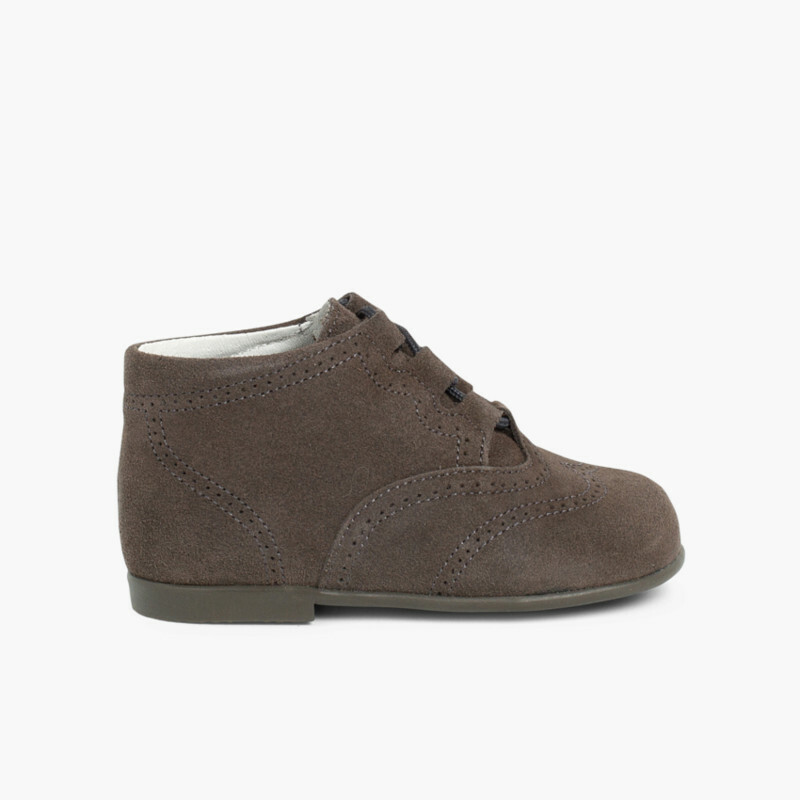 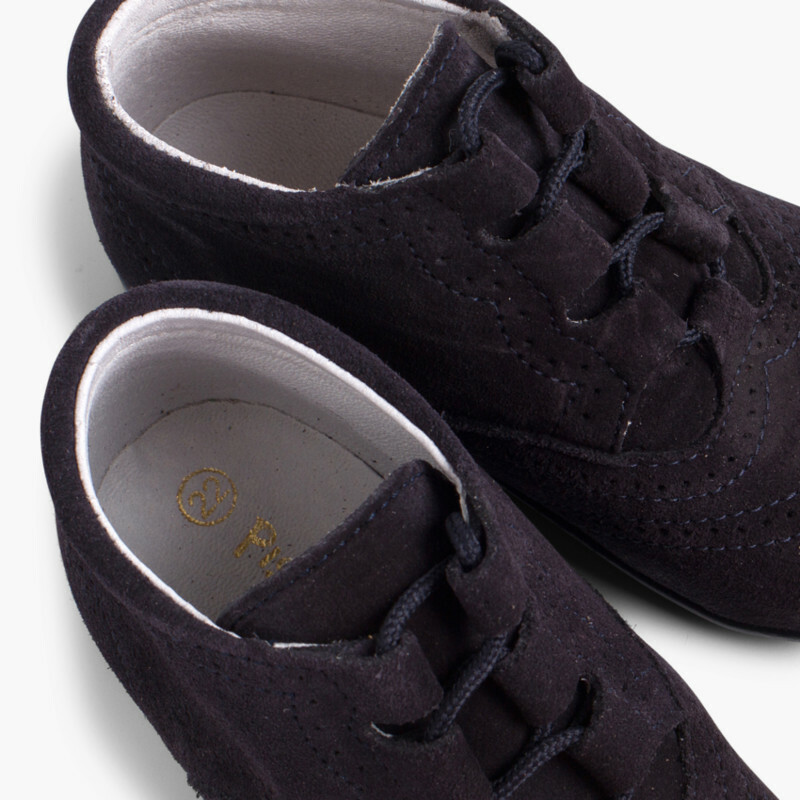 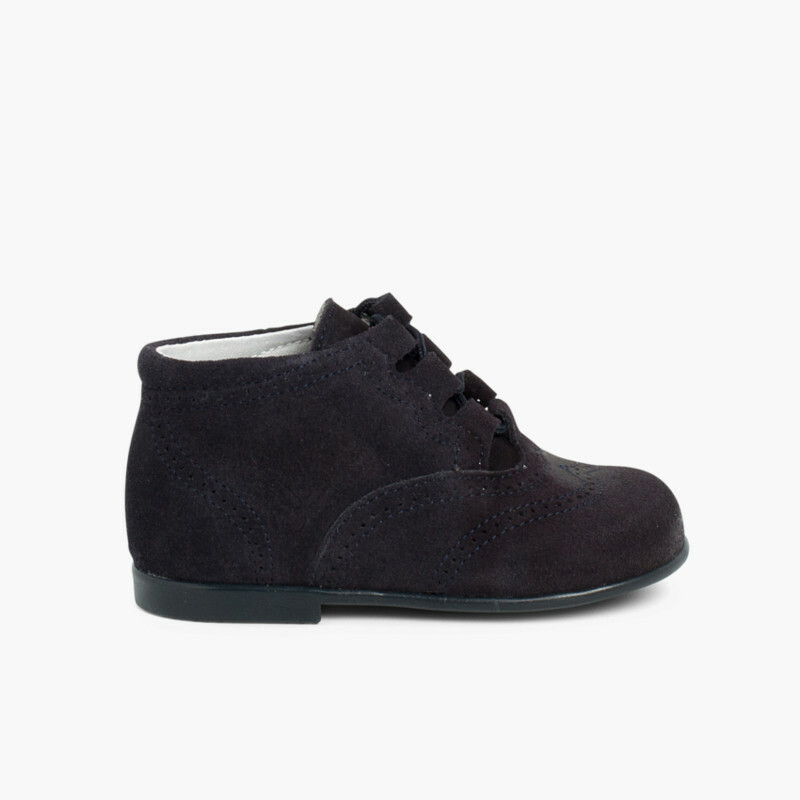 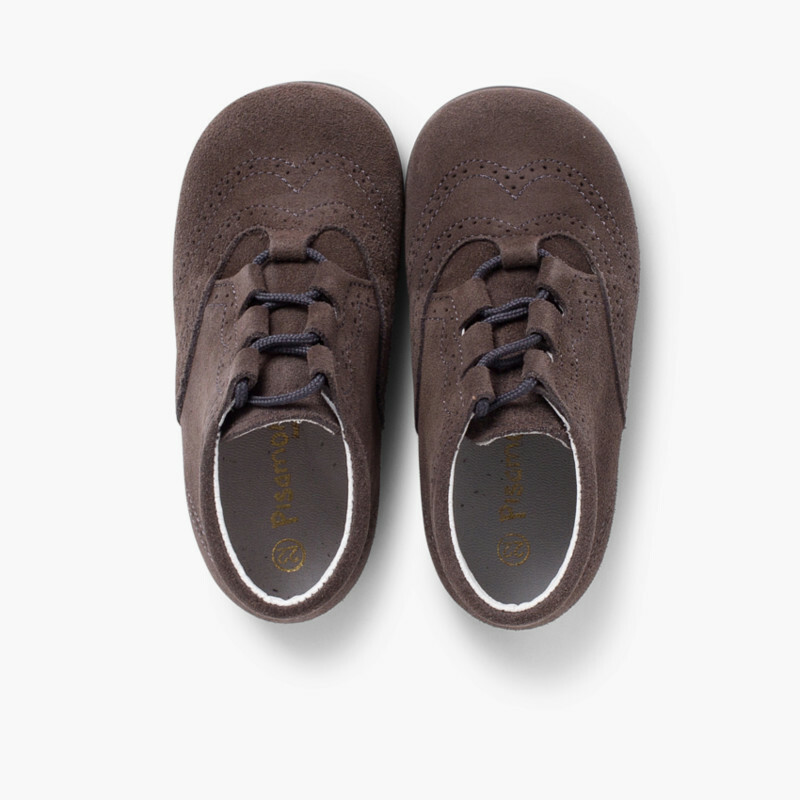 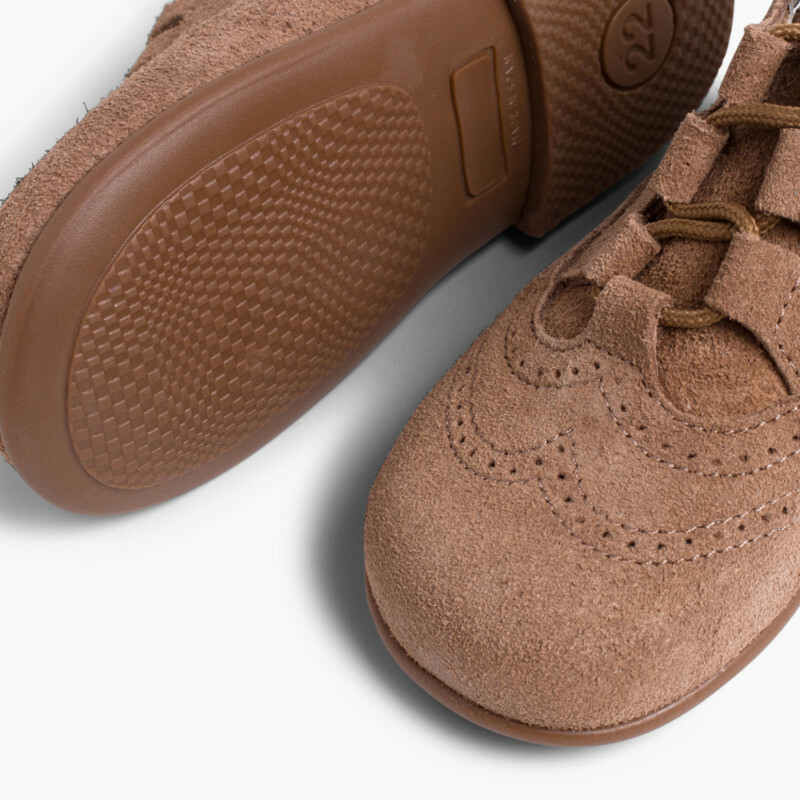 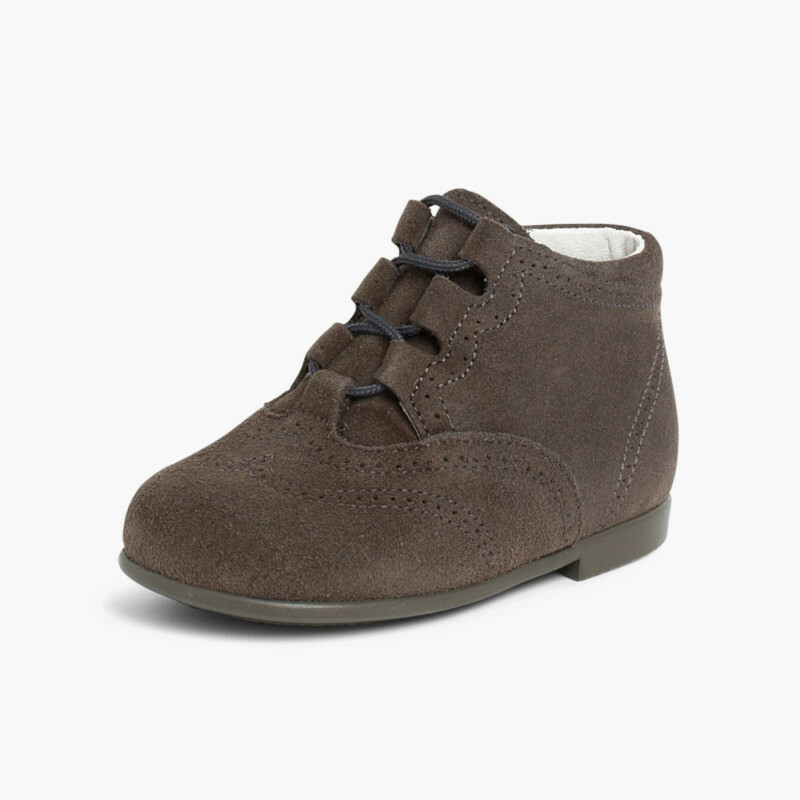 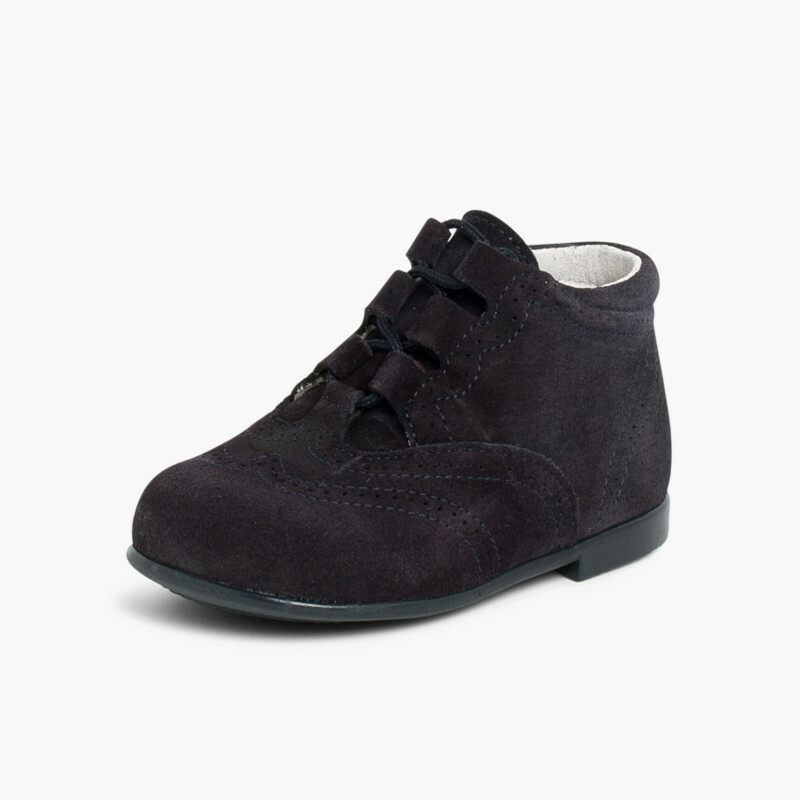 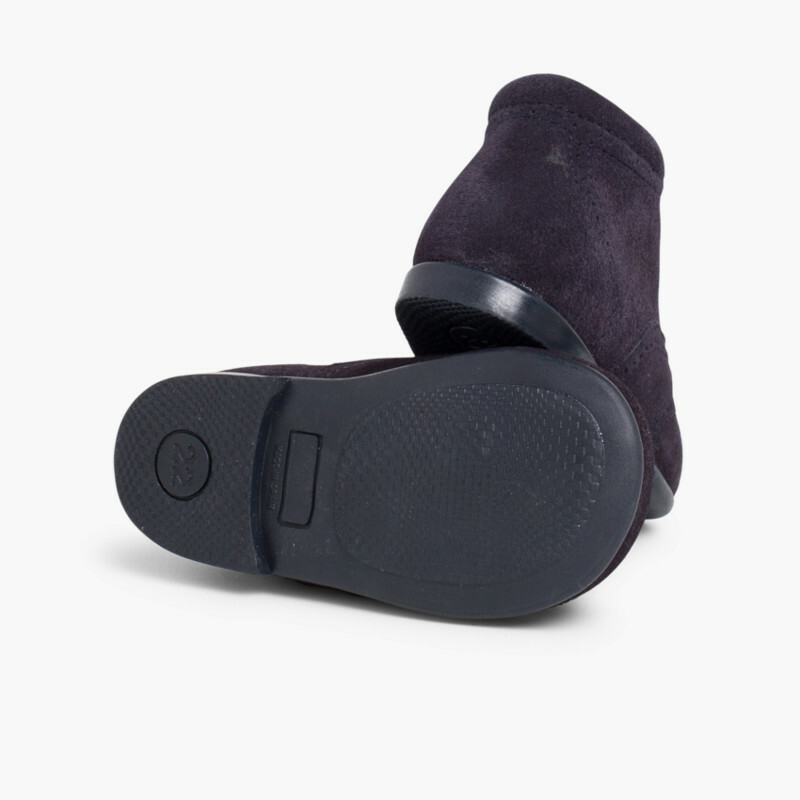 A model of Oxford Booties for boys and girls easy to combine and available in brown, navy blue, grey and taupe. 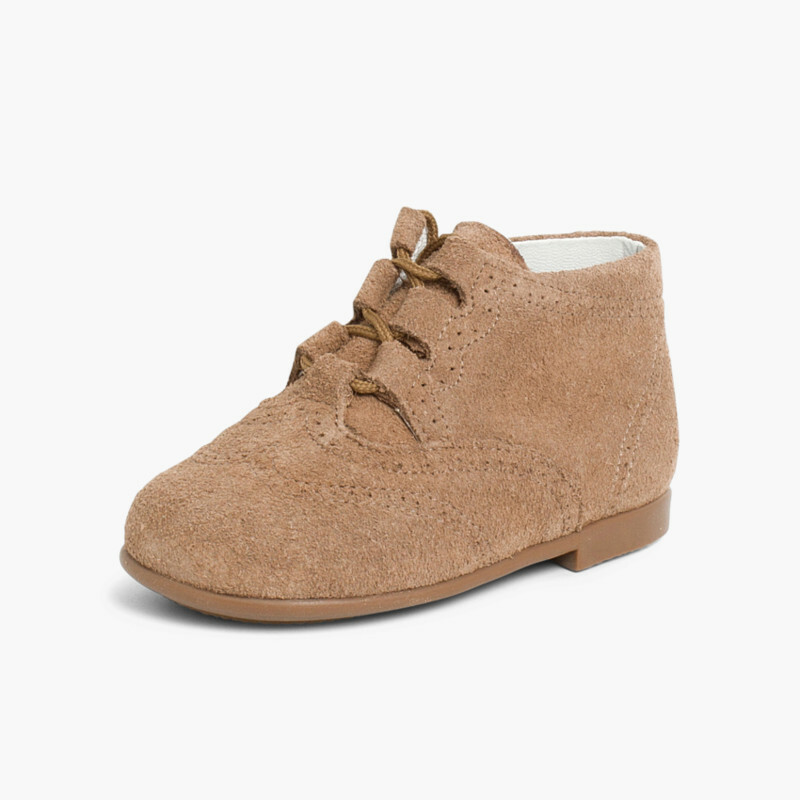 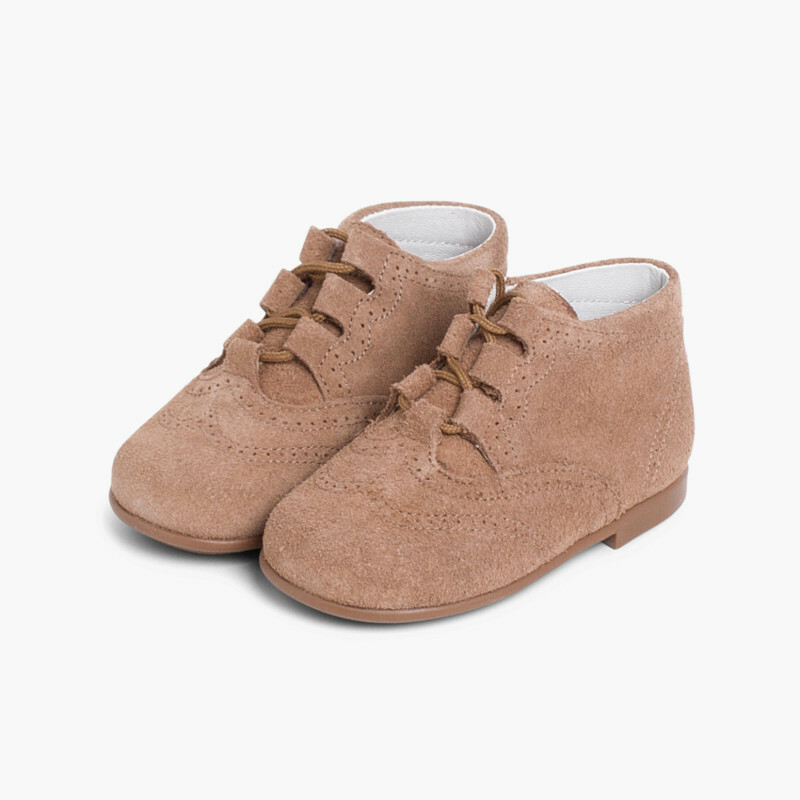 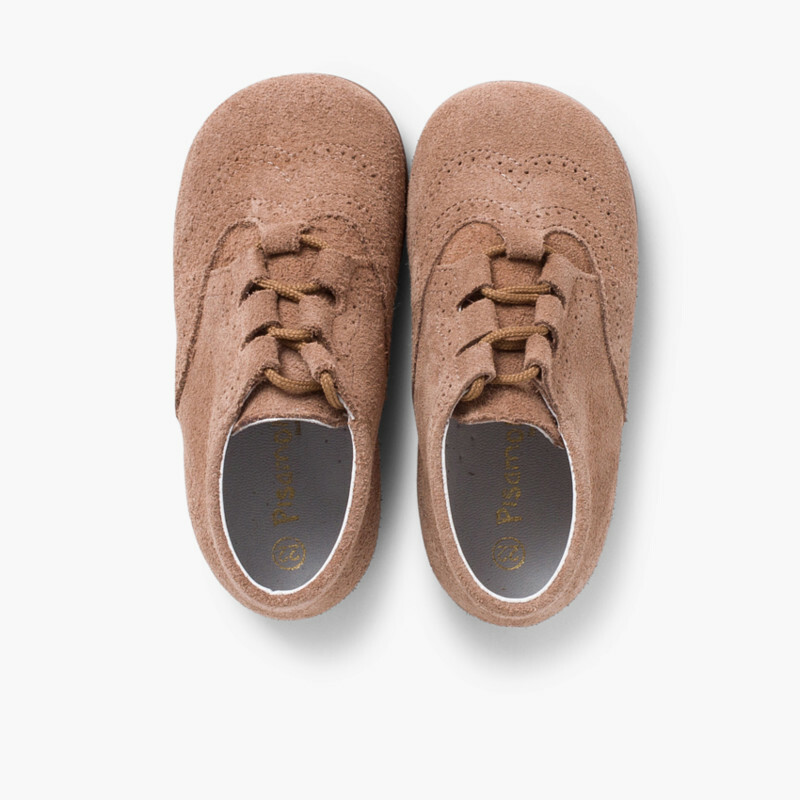 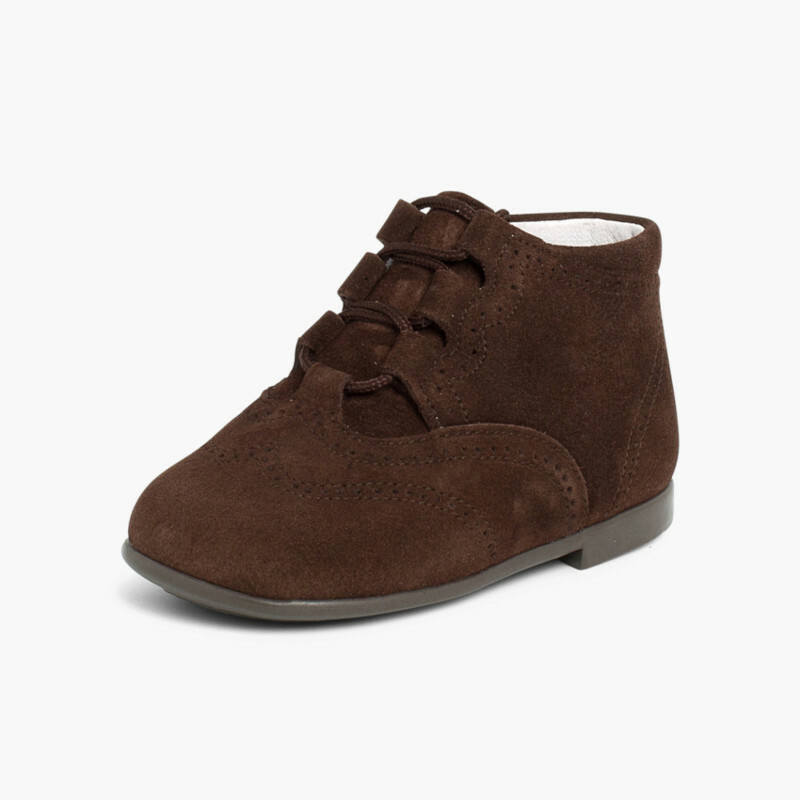 The basic Suede Lace-Up Oxford Booties for the Autumn-Winter collection that will turn into a protagonist of your kids' looks in this season. 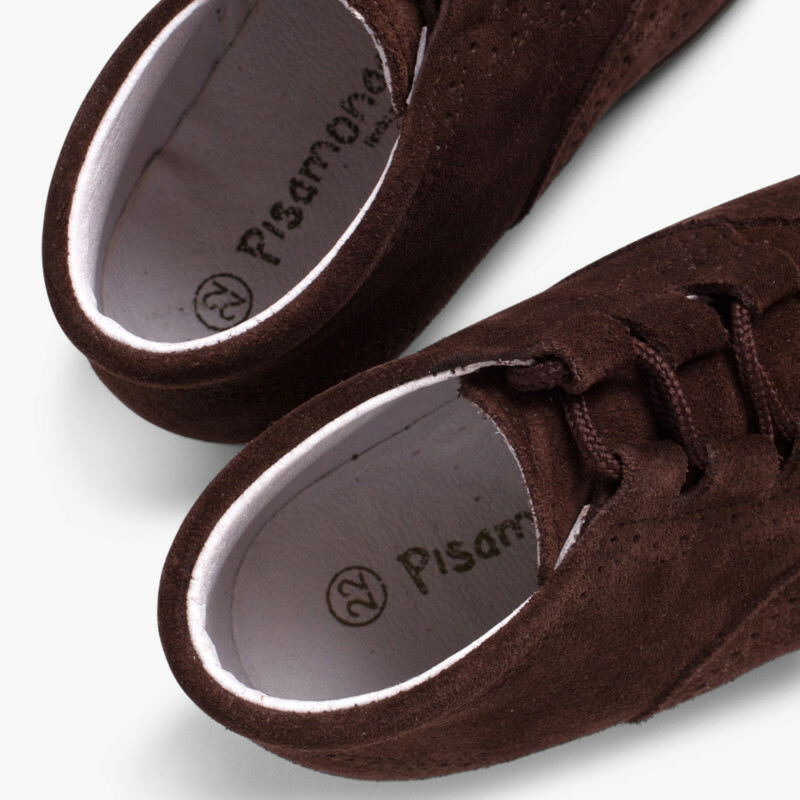 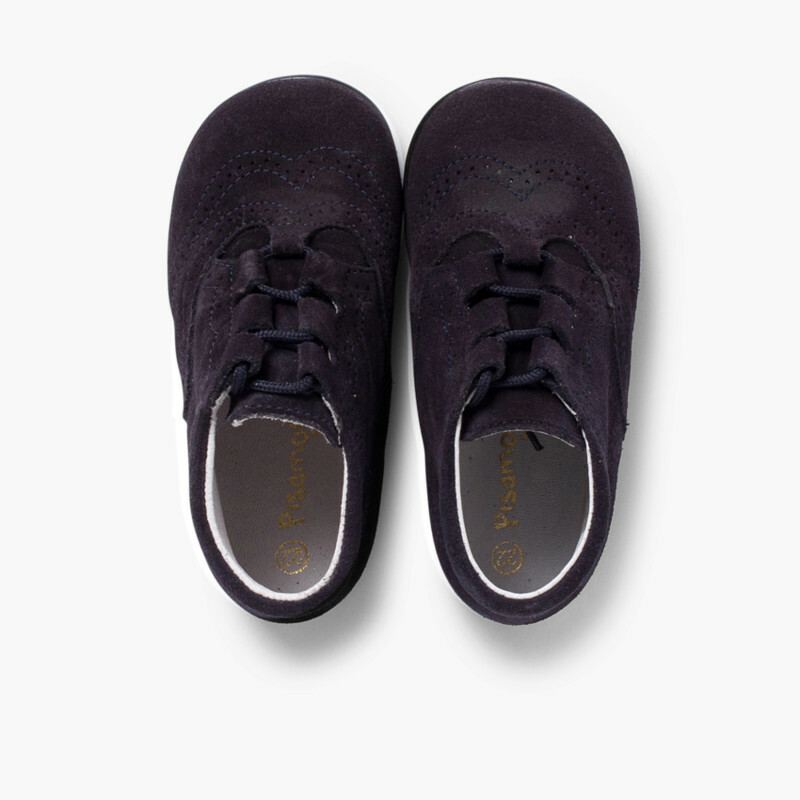 You can combine them with trousers or with condor wool tights, they will be great! 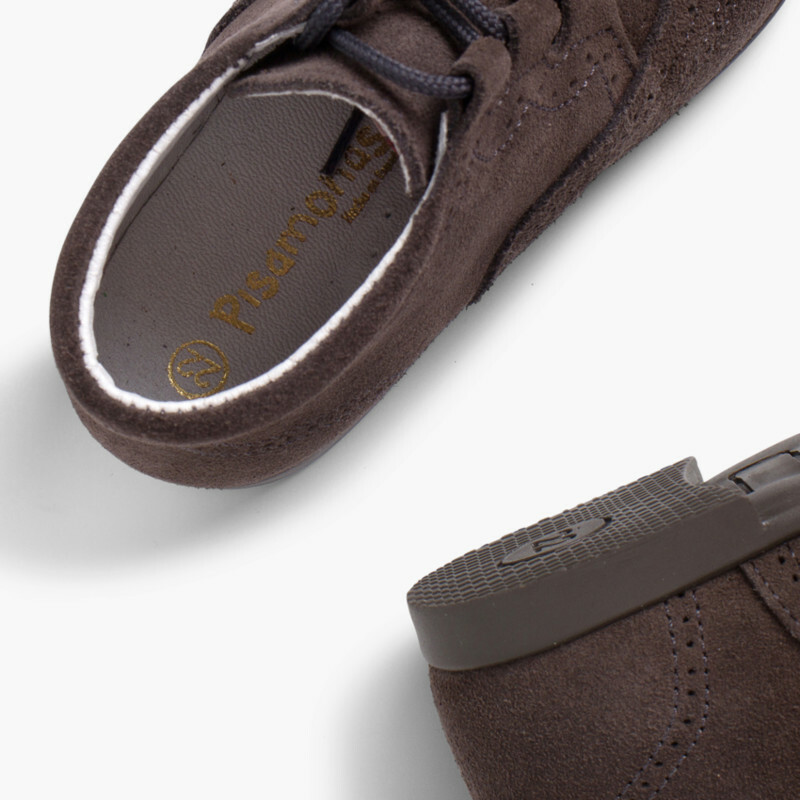 They are made in in Spain 100% and you can feel at ease with for deliveries, changes and returns - they are free. 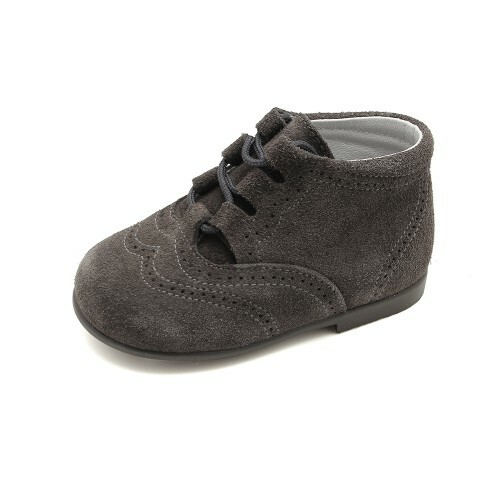 Perfect for pre-walkers and those little ones who are starting to take their first steps. 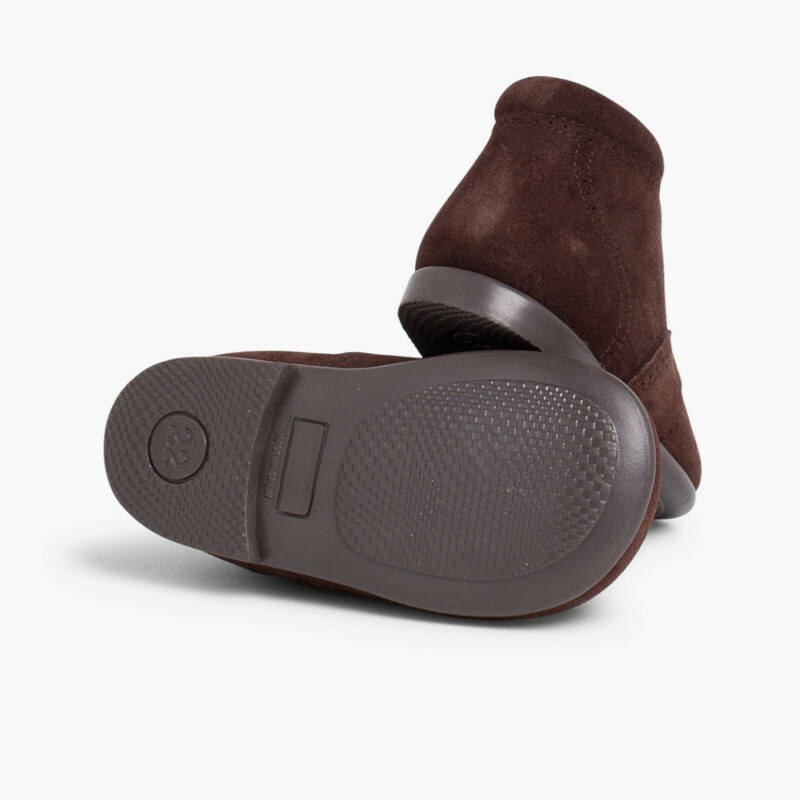 Fashion and quality for the most stylish feet! 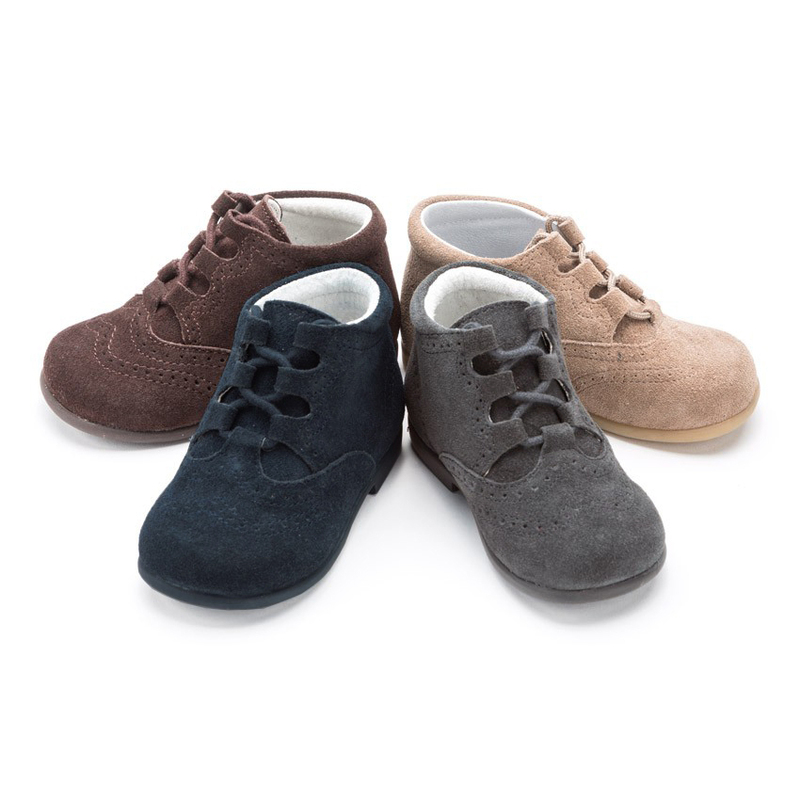 Thanks to their laces and reinforced heel, these little boots grip the foot perfectly, providing the ideal support for their first steps.